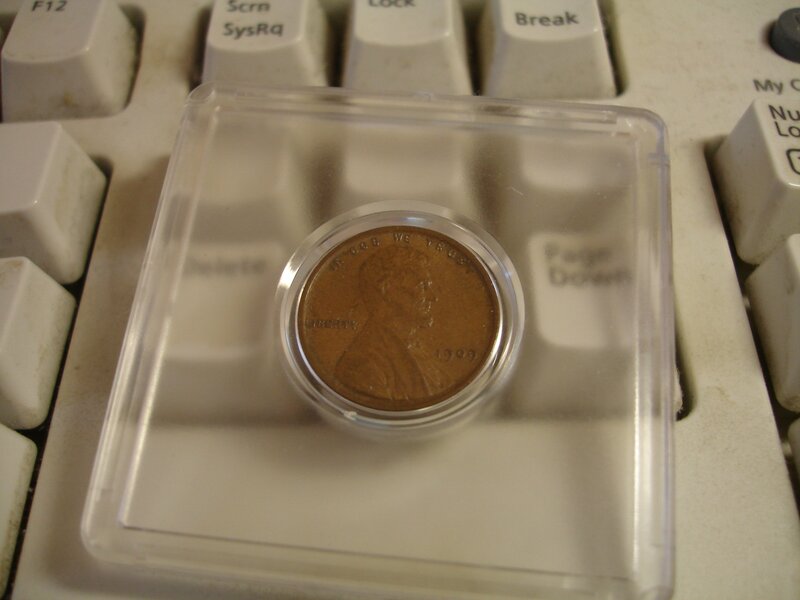 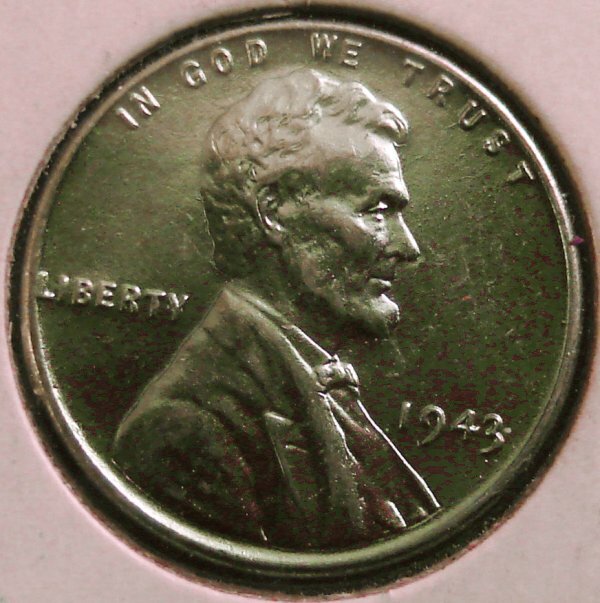 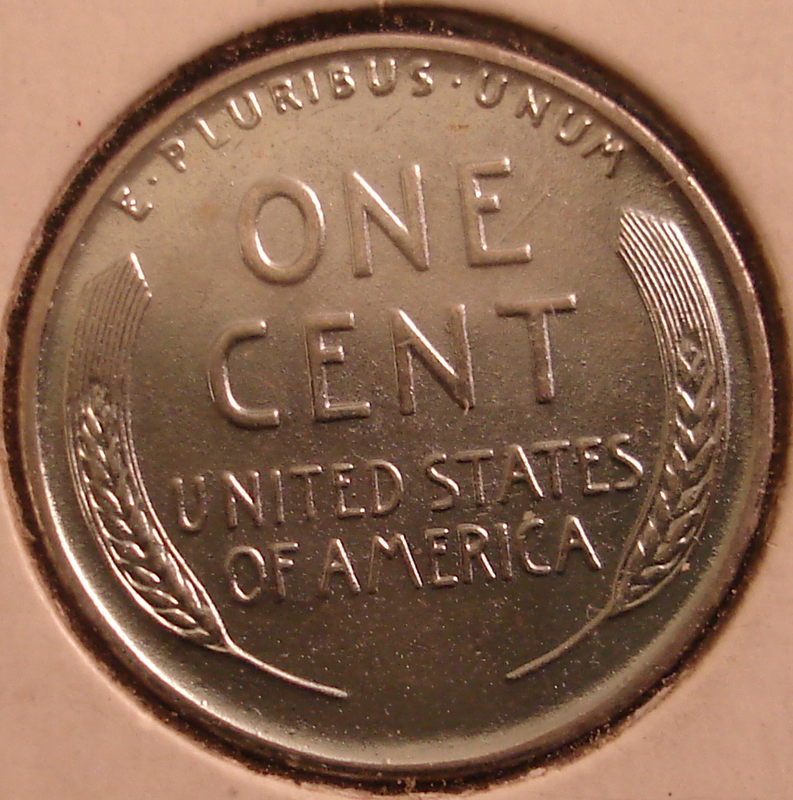 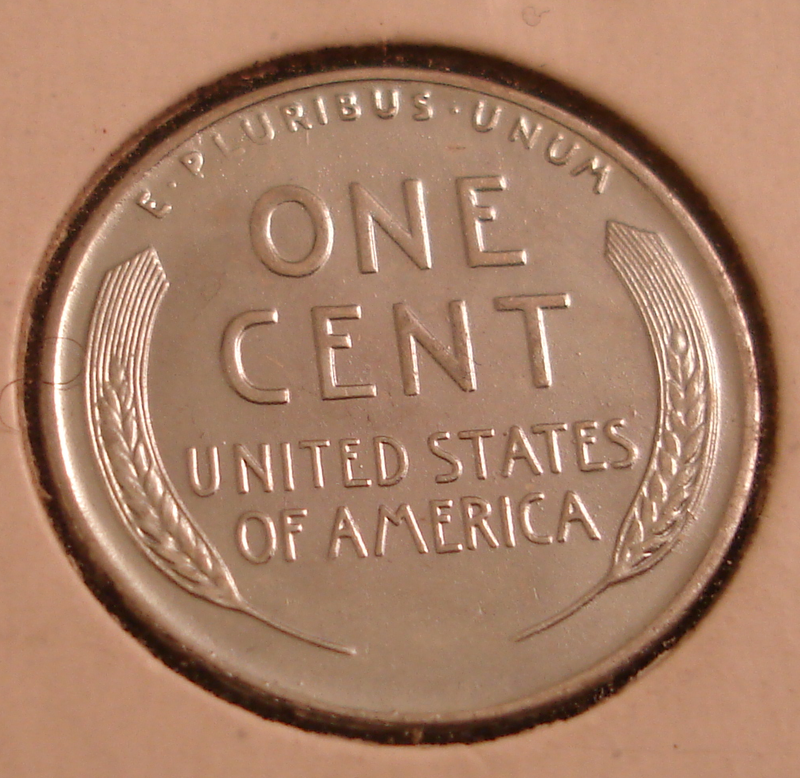 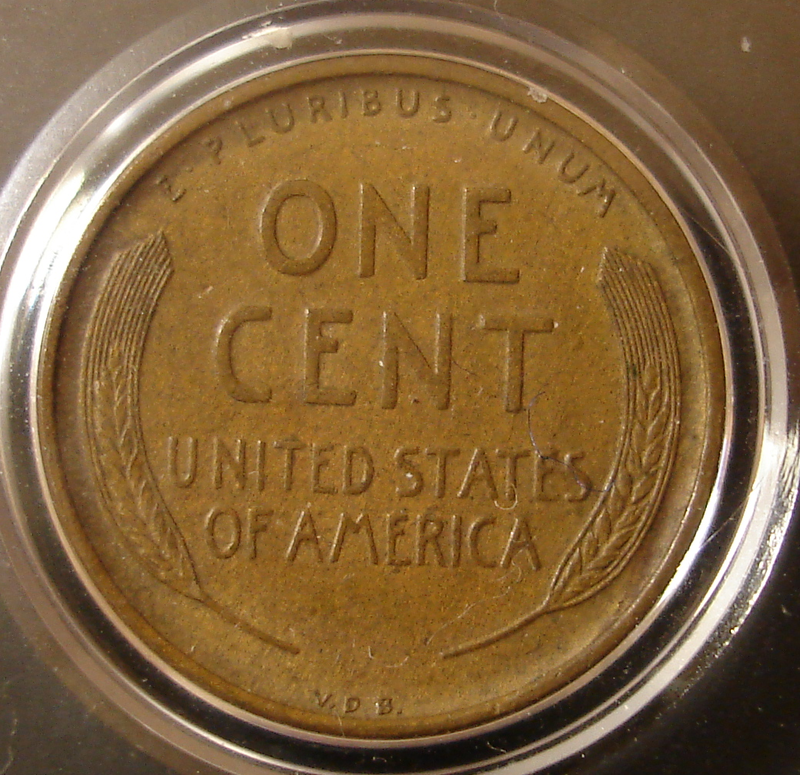 Lincoln Cents are not a main focus of my collection but with more than a trillion examples minted in over a 100 years, it is inevetalbe that ever collect will accumumulate some Lincolns. In my case, my son has been filling out is Lincoln Cent folders and I've aquired a few interesting examples as we filled his books. 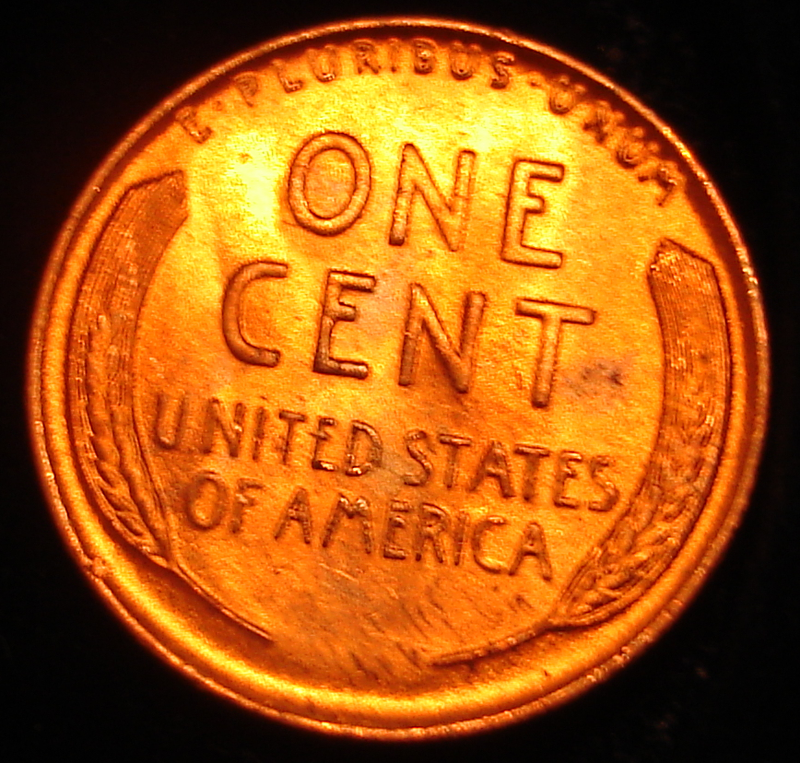 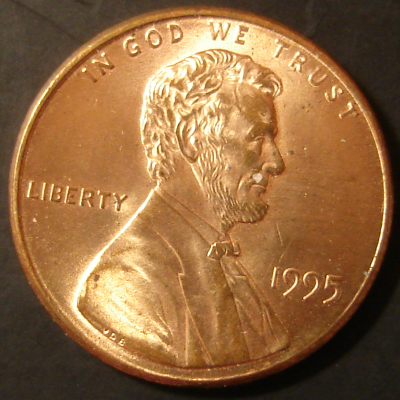 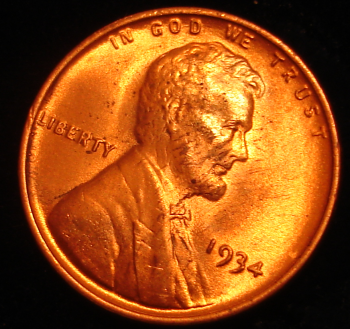 The Lincoln Cent was the first regular business strike that was the result of Teddy Roosevelt's reworking of American Coinage which began with the Double Eagle. 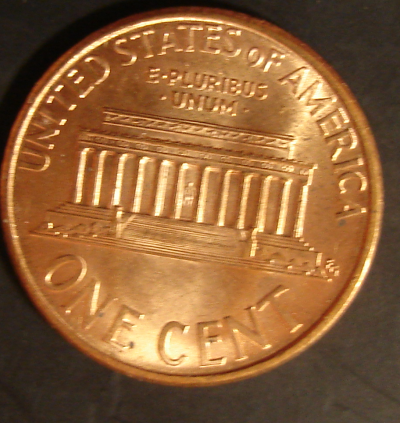 The original idea for the cent wasn't Lincoln but the Indian Design that finally ended up on the $10 single gold eagle. 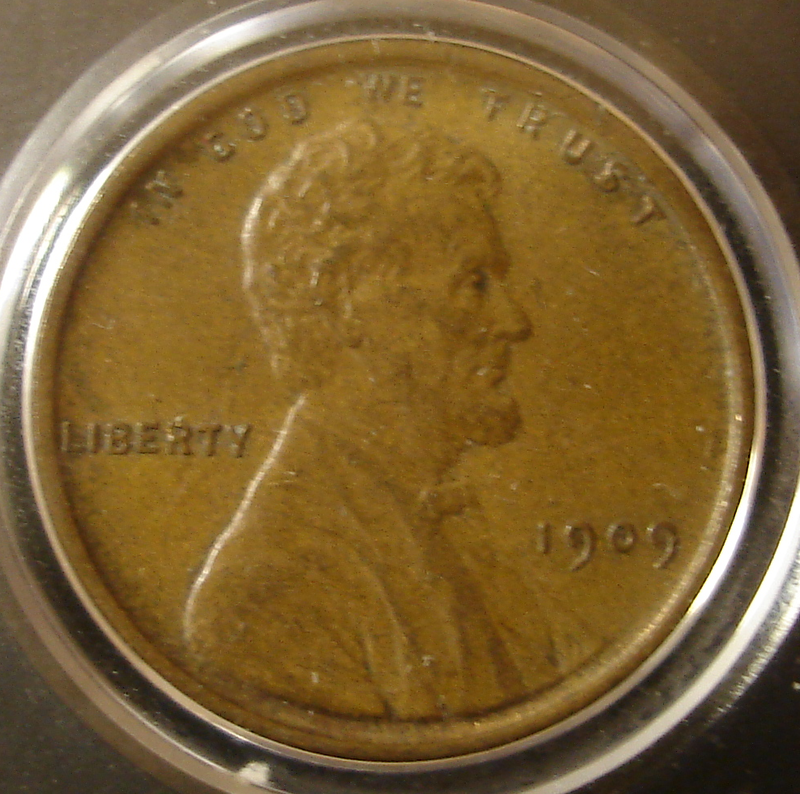 But with the advent of the 100th anniversity of the Republican Lincoln's Birthday coming, politics overrules for the current Republican President and for the first time a living person was instituted on a US coin with the Lincoln Cent, a precident I'm not particulary happy with as today we can't get the dead Presidents off our coinage and US coin design is now stifled. 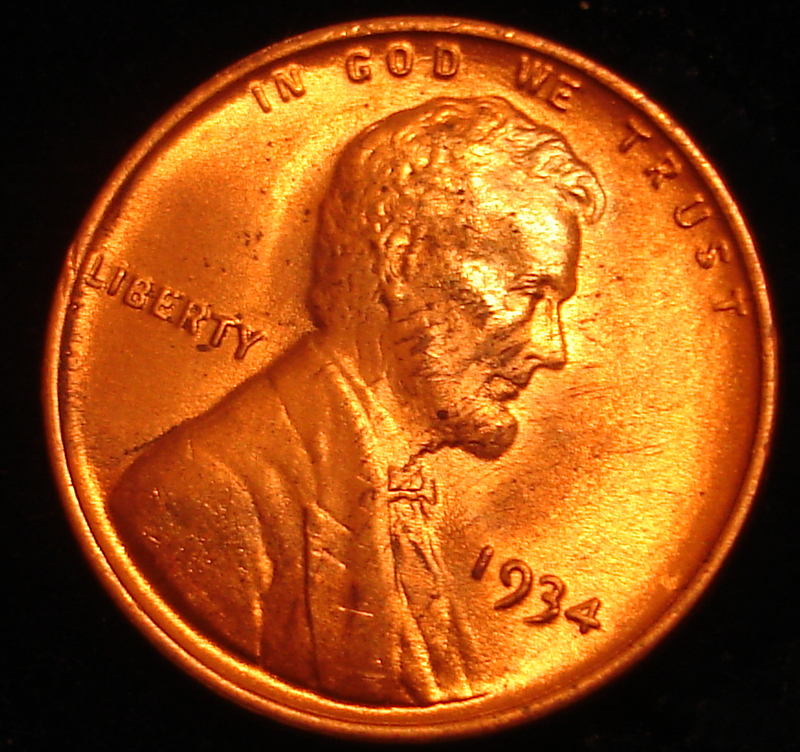 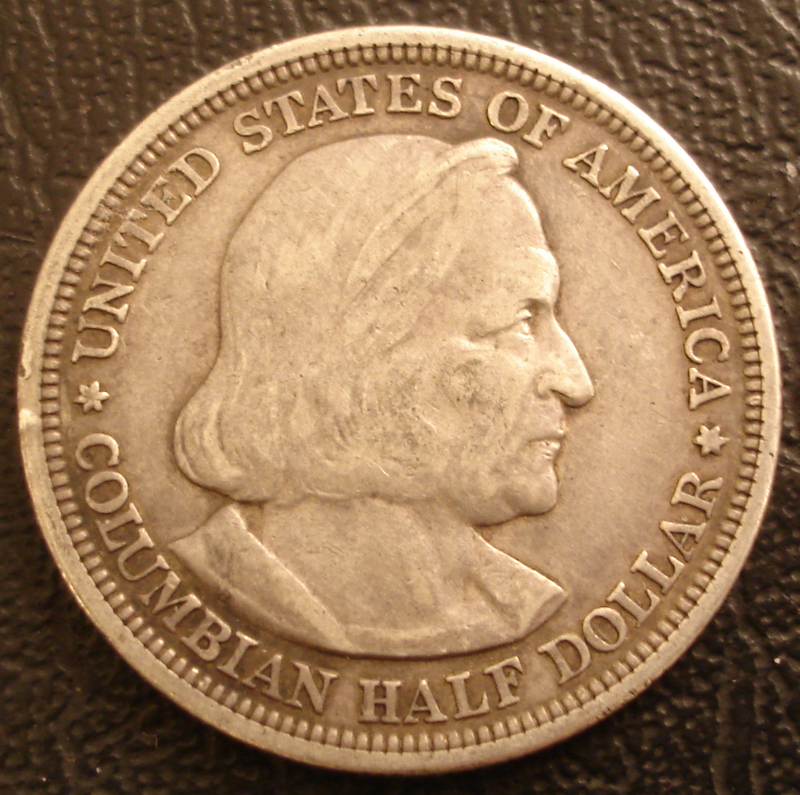 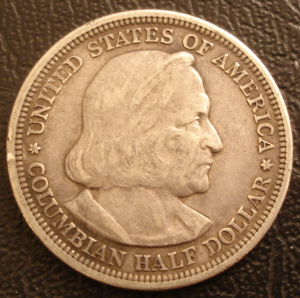 This is a nice bright 1934. 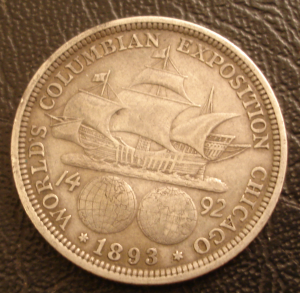 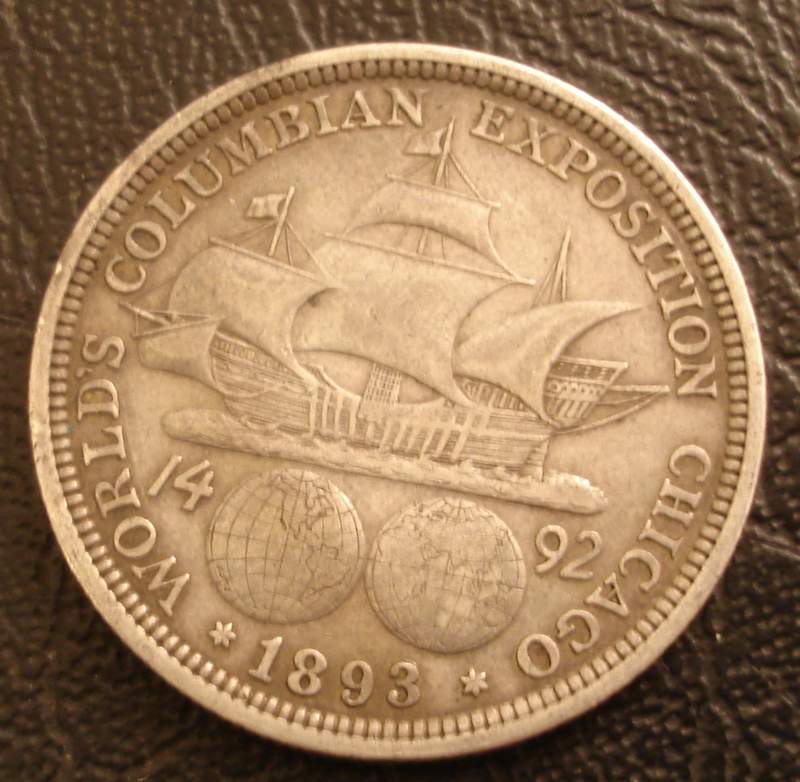 You have to wonder how these coins stay copper bright after decades.